Ok well it is officially after 12am on May 1st, 2012 in some parts of the world. DarthPineapple and I have been hammering out the details for a few days and we’re still hoping on a few more prizes but here it is! SO READ THIS COMPLETELY, THEN READ IT AGAIN! Many of you know that I’m an ADMIN over on theCABG.net . Every time that there’s an Olympics the CABG holds their own MOC Olympics or CABGO. This is our third time running this and we’re looking for prize sponsors. We’re not looking for much. The idea is several people/businesses throw in several small things that in the end we can compile some great prizes packs. We have 3 categories of competition. If you choose to donate prizes you can specify which prize pool category you wish to donate to. We have Guild Members vs. New Members (Non-Guild Members) and they have to build 2 MOCs to enter. This competition category will be referred to as Biathlon Category (2 MOCs). We have Guild Members vs. Moderators and they have to build 3 MOCs to enter. This competition category will be referred to as Triathlon Category (3 MOCs = first 2 MOCs, plus another). We have Guild Members vs. Moderators vs. ADMIN and they have to build 5 MOCs to enter. This competition category will be referred to as Pentathlon Category (5 MOCs = first 3 MOCs, plus 2 more). I personally am donating prizes (full PaB Cups) to the Biathlon & Triathlon levels because I will not be competing in those categories. I’d like the largest prize pool to go towards the Biathlon Category, then the Triathlon Category, and finally the least amount of prizes in the Pentathlon Category since this will have the fewest amount of competitors in it probably because contestants will have to build 5 MOCs in the 3 month time period. CABGO III!CABGO III!CABGO III!CABGO III!CABGO III!CABGO III!CABGO III!CABGO III!CABGO III!CABGO III!CABGO III!CABGO III! Biathlon Category(Guild Members vs. New Members/Non-Guild Members): Complete both MOCs below. MOC 1: Build a vignette depicting ONLY 2 minifigures from a single Lego® Theme engaged in some type of conflict. MOC 2: Build a vehicle (land, air, sea, or space) in minifigure scale for one of the 112 Collectable Minifigures (Series 1-7). You must include the minifigure in the MOC, no substitutes. Triathlon Category (Guild Members vs. Moderators): Complete both MOCs above plus the MOC below. MOC 3: Build MOC or vignette of a Historical Theme (WWII, Roman, Spartan, Mayan, USA Civil War, etc.). Pentathlon Category (Guild Members vs. Moderators vs. ADMIN): Complete the 3 MOCs above plus the 2 MOCs below. 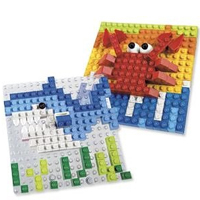 MOC 4: Build a Mosaic. MOC 5: Build anything that can be classified as Star Wars Universe (preferably from Clone Wars Era as homage to Clone Army Builders Guild Origins). 1. All MOCs must have a TITLE and/or a description that explains what your MOC is. 2. 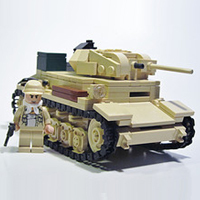 You can use Official Lego items/pieces, personally customized pieces, or pieces you have purchased from a non major brand name company for example: Fine Clonier, BrickArms, etc. 3. No Mega Blocks or any other inferior brand name product may be used. 4. Limit ONE entry per person per MOC Category (i.e. one in MOC 1, one in MOC 2, etc.). 5. You may revise your entries as many times as needed until the contest closes. 6. Entry must contain at least ONE* (MOC #2 Requires 2 Embedded Images) embedded photo of your MOC & ONE link to your gallery. 7. CABG, CABG Staff, sponsors, and host are not responsible for lost or stolen items from the mail. 8. Must be 13 years or older to compete/receive prize. 9. No previously built MOCs permitted. 10. If you are caught cheating in any way you may be: asked to change entry from ADMIN or MOD, disqualified, or simply permanently banned or deleted from the forum. 2. This Area will contain all Entry Threads. 3. Entries may be submitted in any order. 4. Voting will begin September 1, 2012. Polls for each category will run for 7 days. 5. In the event of a tie a second poll maybe created to break the tie. Tie breaking polls will run for 3 days. 6. All Entries must be submitted between June 1, 2012 12:00am GMT to August 31, 2012 11:59 GMT. One day left until the Entry Threads open! I've finished 1 of 5 MOCs already how about you? I've also only got 1/(maybe)5 finished and photographed. Rook wrote: Entry Threads are unlocked! Take your time you've got 3 whole months still! Well we’ve about 45 days since CABGO III was announced and several of us have completed some or all of our MOCs. You have about 75 days which means there is still plenty time to start! Just over 5 weeks left! I built my 5 MOCs in 5 weeks, so can you! I have three almost done. I'm done, but I am just upgrading MOC 1, 2, and 5. 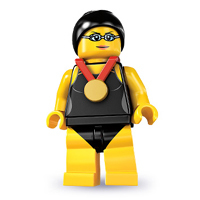 Question, For the Biathlon Vignette, the 2 Minifigs have to be from the same Lego Theme. Does this Theme have to be an official one from TLC or can it be another theme such as USDF? When in doubt read and reread. The "R" with the circle around it means registered trademark. 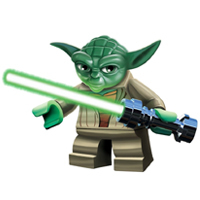 Therefore if Lego® didn't make the theme, it wouldn't appear on BrickSet. Also Brickset is noted as the reference site by which all minifigures will be judged. So if you can't find it on BrickSet then don't use it for that MOC. Just over 2 weeks left! Dang... I a out of ideas but I want to be able to enter all the categories.... Question. It says on some categories REQUIRED, does that mean if I don't do it I can't win? Must have completed MOCs 1 & 2 to enter first group. Must have completed MOCs 1,2, & 3 to enter second group. Must have completed MOCs 1-5 to enter final group. At this point I'd just post a valid entry. Don't worry about how good it is. There's so few contestants you just need to enter to win almost. Go ahead... Call me a clock stalker... I just can't wait till voting! Officially 12 hours and 24 minutes left! For me it's closed . Ah holiday weekend! Hope everyone is having a good one. I'll get the polls up today and they'll run for one week.